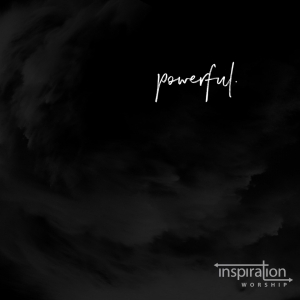 New Radiate Music artist and Michigan-based Inspiration Worship, featuring songwriter, vocalist and cancer survivor Linda Doane, globally releases its full-length debut Powerful Aug. 31 from Radiate Music. The new, 12-song album that carries Linda�s mission to share the gospel and God�s power in her life, will be available at iTunes, Apple Music, Amazon.com, Spotify and more digital and streaming outlets everywhere. Less than a year ago, Linda had been given two to 12 months to live as she battled Stage IV Non-Hodgkin�s Lymphoma. Feeling what it was like to not take a normal breath for six long weeks in 2012, she realized the simple, profound gift of breathing. Now in full remission following her third bout with cancer, she is using her breath to praise God, revealing a confident, courageous creativity through Inspiration Worship�s Powerful. Standing alone thematically is the song Linda and her husband Tom wrote for their daughter in the midst of her battle with anorexia, titled �I Can't Fix You,� which also becomes the first video from the album. Going into the recording for this new album, Linda felt strongly that the artist name should be �Inspiration.� Zoning in on the name �Inspiration Worship,� Linda was stunned when she did a dictionary search of the name. As for Linda, she is feeling pretty powerful in Christ these days, resting in God�s provision for her life and the promises that lie ahead.